Here is another freezer meal from my adventures with freezer cooking! 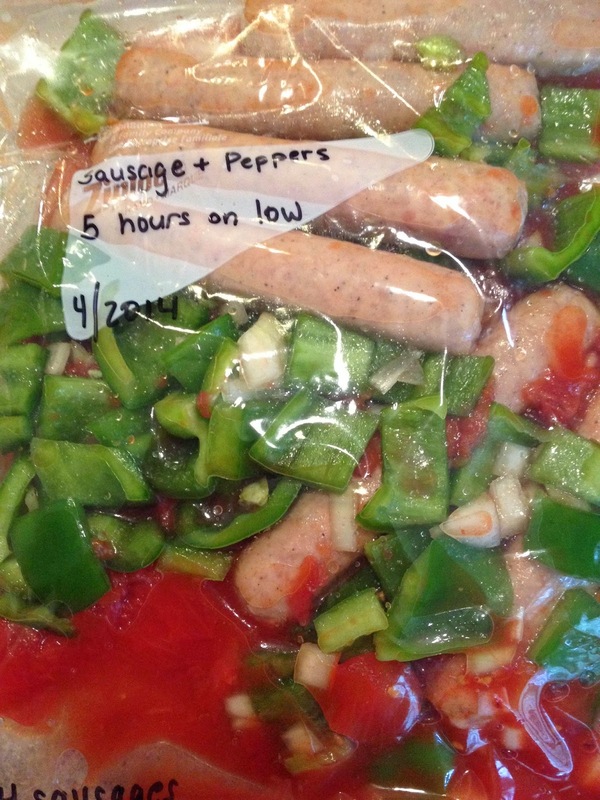 This Sausage and Peppers recipe originally came from Little House Living and turned out pretty great! I modified it slightly from the original, but I can't wait to try it again. I believe that it is gluten free, so it makes me feel healthy! :) As before, I placed all the ingredients in a gallon sized ziplock bag, froze it and then thawed it in the fridge the night before I wanted to cook it. 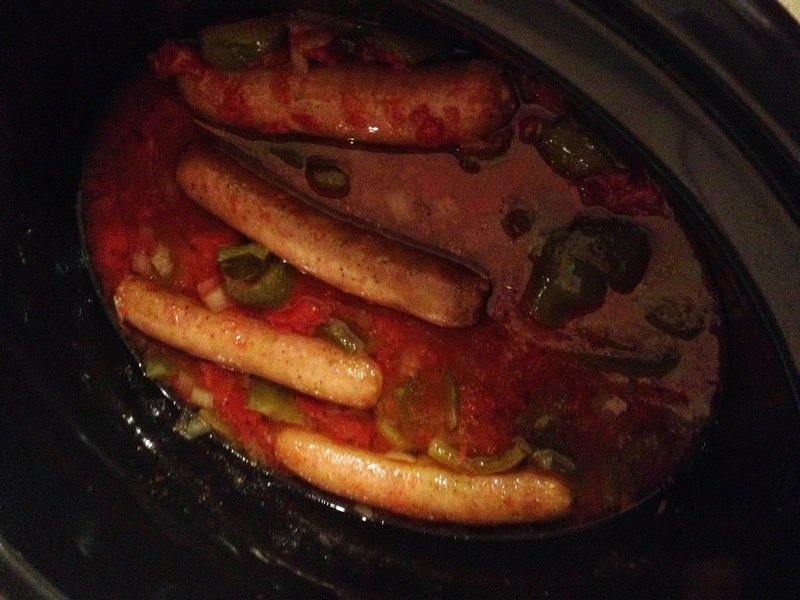 Cook in a slow cooker for 8 hours on low. The original recipe said that it should be in the crockpot for 5 hours, but I left it in for 8 hours while I was working. That evening, we ate the sausage and peppers on potato rolls - mmm so good! This recipe is definitely a keeper and WILL be tried again!